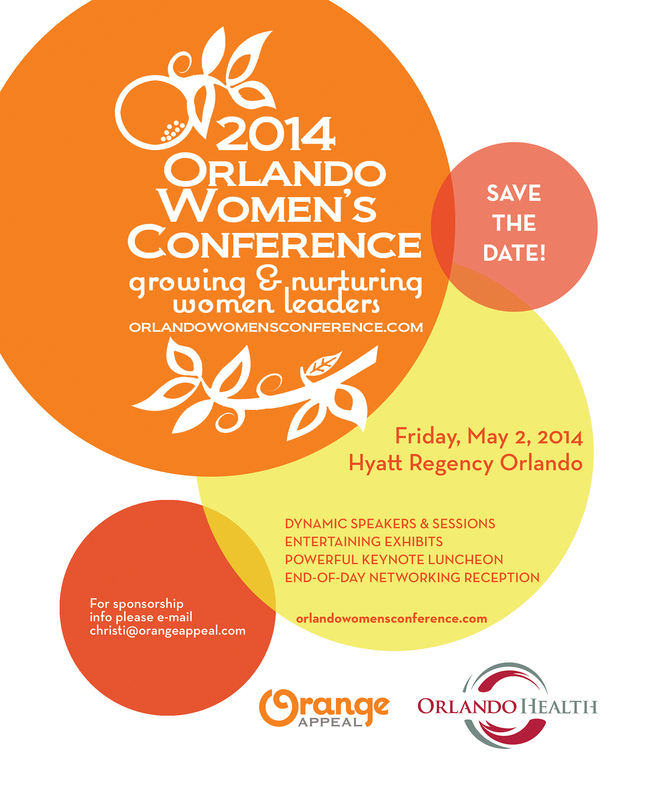 The 2014 Orlando Women’s Conference will be held Friday, May 2 at the Hyatt Regency Orlando (formerly The Peabody Orlando). We are working on getting our programming secured in the next few weeks so check back often for updates! If you are interested in exhibiting or sponsorship information please email kate@orangeappeal.com. We’re looking forward to another exciting, inspiring day!! !